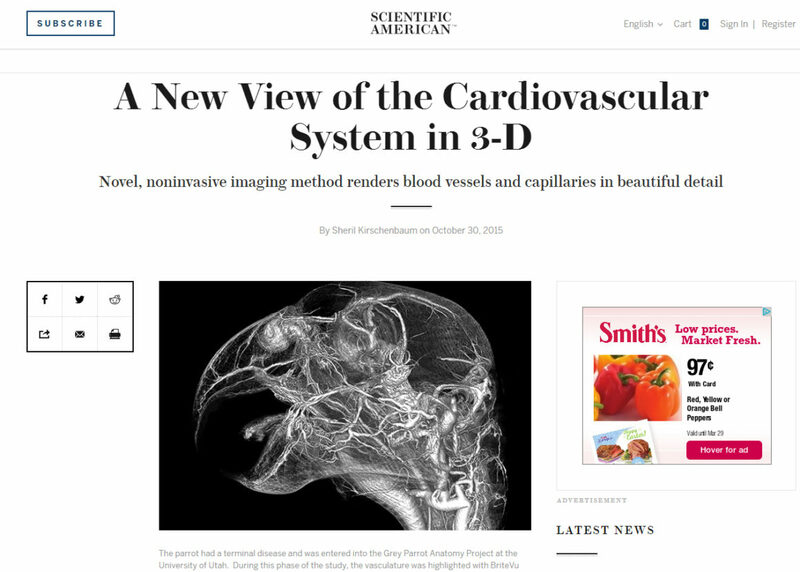 Kirschenbaum S. A new view of the cardiovascular system in 3-D. Scientific American. Blogs. October 30, 2015. This is the first scientific publication where the research of Dr Scott Echols at the U of Utah on bird anatomy is published. BriteVu is also featured including several pictures that show images created by the novel contrast agent.